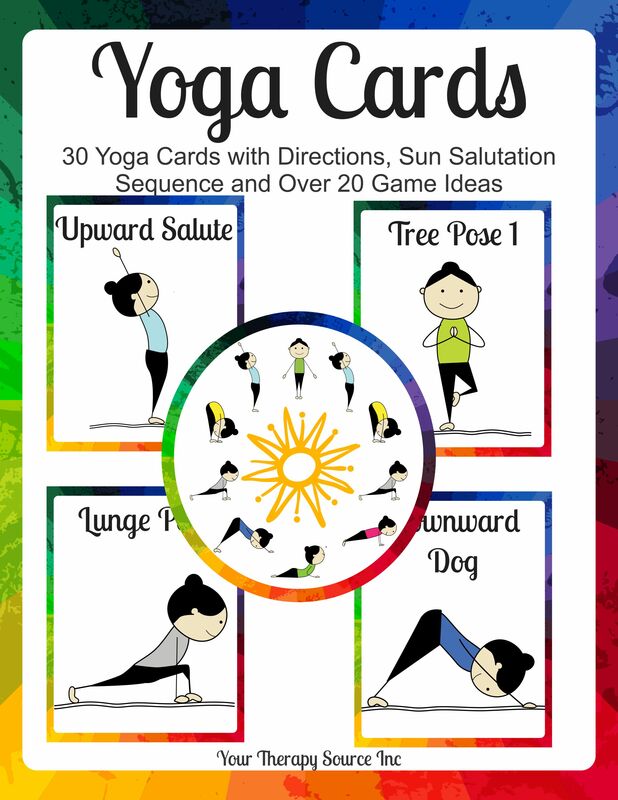 Yoga Cards and Game Ideas: Download of 30 yoga cards with directions, Sun Salutation sequence and over 20 game ideas. Electronic Delivery: FREE – once payment is made you will receive an email with a link to download the book. You will need Adobe Reader to open the book. Summary: This download is a collection of 30 full sized yoga cards (8.5″ x 11″) with directions, Sun Salutation sequence and over 20 game ideas with small size yoga cards (4″ x 5″). They are reproducible for the clients on your caseload or students in your classroom. Send them home for carry over activities. Yoga Cards and Game Ideas help to improve muscle strength, increase flexibility, relieve stress and calm the mind. 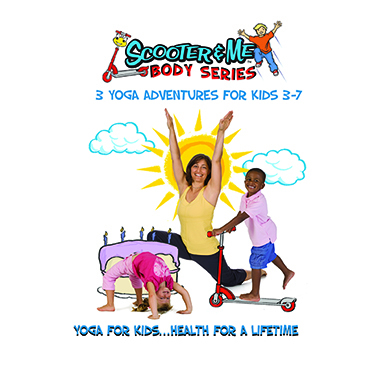 The Yoga Cards are reproducible to use over and over again with all the children that you teach. Remember this is an electronic activity. Following payment you will receive a link to download the book. The Yoga Cards and Game Ideas packet includes the following poses: Mountain Pose. Warrior 1, Warrior 2, Tree Pose 1, Tree Pose 2, Airplane, Forward Ben, Chair Pose, Triangle Pose, Star Pose, Crescent Moon, Squat Pose, Twist Pose, Lunge Pose, Upward Salute, Half Standing Forward Bend, Downward Dog, Cat/Cow, Cobra Pose, Plank Pose, Superman, Boat Pose, Shoulder Stand, Bridge Pose, Butterfly Pose, Upward Facing Dog, Camel Pose, Lotus Pose, Child’s Pose, Sleeping Pose and Sun Salutation. These are brilliant! We use the big posters on the wall and the little cards as task cards when we’re on the run. 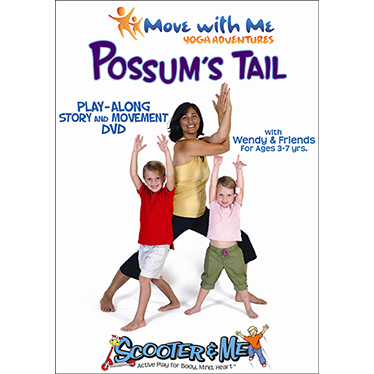 If I could have requested the perfect resource for our class yoga times, it would have been this! Thanks so much! Great resource for yoga teachers and classroom teachers as well. My Yoga camp loved the cards! I laminated them and they chose which poses we would practice. Nice product! My kids loved learning the yoga poses. Thank you for this!